Your home is a busy and active place. A re-flooring project is your chance to improve the visual appeal and strength of your home. 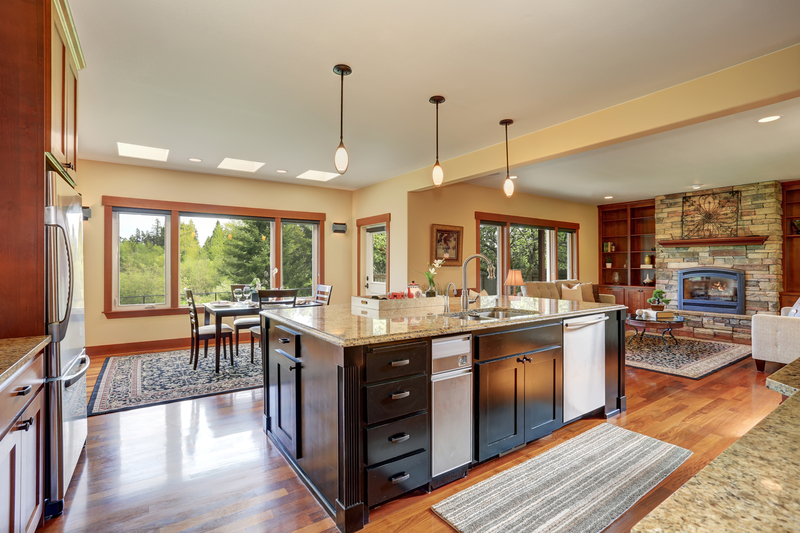 Invest in waterproof flooring in Great Falls, MT. At Flooring America, we offer a variety of flooring materials that resist water, liquids, and stains. By visiting our showroom, you will gain the resources and products you need to make your home beautiful. Make water damage a thing of the past. Our flooring showroom offers a variety of products that stand up against cooking spills, plumbing mishaps, and pet accidents. Whether you are remodeling a single room or the entire property, we’re here to make your project a total success. Homes are built to last. Waterproof home flooring strengthens your home’s surfaces, ensuring they look better for longer. As its name suggests, this flooring type repels water. These surfaces are specially designed to be easy to clean up, which allows you to save time and energy. If you have a busy household, pets, or small children, then it pays to invest in flooring that can also keep up with everybody. Vinyl Flooring: Vinyl flooring is built to last, all without sacrificing style or visual appeal. This flooring type comes in many styles and designs--including the appearance of solid hardwood and ceramic. Carpet Flooring: Thanks to advances in manufacturing, waterproof carpet has made common areas more visually appealing while upholding everyday comfort. Our stain-resistant carpet makes spills easier to clean up while protecting the sub-surfaces, too. Laminate Flooring: Laminate has a strong resistance to water. This flooring material is also very cost-effective, allowing you to re-floor multiple rooms easily. The surface of laminate holds well against everyday foot traffic as well. From start to finish, you can count on our showroom to support you at every step of your flooring project. Our showroom has teamed up with the leading manufacturers and brands to provide a diverse selection of flooring. Our catalog includes products from COREtec, Shaw, Mohawk, Downs, and more. The strength and longevity of your new flooring come from how it is installed. When placed properly and by professionals, your flooring will serve you well for years. We facilitate professional waterproof flooring installation services. Our technicians will remove the old flooring and place your new selections--all according to your schedule. We’re quick, prompt, and thorough. It all begins at our flooring showroom. Arrange a design consultation with one of our team members. We will help plan your project, make recommendations, and help you attain picture-perfect results. Contact us to learn more about our waterproof flooring. We serve residents of Great Falls, MT, Monument, Black Eagle, Vaughn, Fort Shaw, and the surrounding area.